This course of macroeconomics aims to enhance understanding of students on the macroeconomic theories and develop skills of students in using these theories in business decision making under different economic environment. This course of macroeconomics makes students capable to understand macroeconomic theories and contemporary macroeconomic issues in reference to Nepal. This course consists of introduction to macroeconomics, national income accounting, classical theory of employment, Keynesian macroeconomics, inflation, business cycles, monetary theory and policy, government finance and fiscal policy and contemporary issues in references to Nepal. Meaning, scope, uses and limitations of macroeconomics; Difference and interdependence between macro and microeconomics; Concept of new classical school and new Keynesian; Macroeconomic concept: Stock and flow variables; Equilibrium and disequilibrium; Static, comparative static and dynamic analysis. Keynesian theory of employment: Principle of effective demand; Consumption function: Concept, classification, Psychological law of consumption, determinants of consumption function; Saving function: Concept, classification, determinants of saving and paradox of thrift; Investment function: concept and types of investment, Marginal efficiency of capital, investment demand curve, determinant of investment; Income and output determination in two sector economy; Investment Multiplier: Concept, income generation process, leakages and criticism. An Introduction to Product market equilibrium (derivation of IS curve); Money market equilibrium (derivation of LM curve); General equilibrium in the product market and the money market. Demand pull inflation and cost push inflation: concept and causes; Effects of Inflation; Anti inflationary measures; Inflation and unemployment: Phillips curve; Concepts of Deflation and Stagflation. Concept, types and characteristics of business cycle; Phases of business cycle; Measures to control business cycle. Money supply: Concept and determinants; Demand for money: Keynesian approach; Money market and capital market: Meaning and function; Monetary Policy: Concept, types, objectives and instruments of monetary policy; Exchange rate: Determination of equilibrium exchange rate under fixed and flexible exchange rate system. Government budget: Concept, classification, and component and Government budget; Deficit financing: Concept, objectives and methods of deficit financing; Fiscal policy: Concept, types, objectives and instruments of fiscal policy. Privatization, Liberalization and Globalization: Concepts, benefit and defects; Foreign direct Investment: Benefit, defects and current status of Nepal; Economic growth and Development: Concept and sources of economic growth; Foreign employment: Benefits, defects and current status of Nepal; Poverty: Concept, types, causes and remedies; Economic inequality: Concept, causes and remedies. Ackley, G., Macroeconomics: Theory and Policy. New York: MacMilan Publishing Co. Ahuja, H . L., Macroeconomic Theory and Policy. New Delhi: S. Chand and Company. Branson, W. H., Macroeconomic Theory and Policy. New Delhi: Universal Book Stall. Dornbusch, R. & Stanley F., Macroeconomics. New York: McGraw-Hill Book Company. Dwibedi, D.N., Macroeconomic Theory and Policy, New Delhi: Tata McGraw-Hill Publishing Company Limited. Jhingan, M.L., Macroeconomics. New Delhi: Vrinda Publication (P) Ltd. Joshi, S., Business Economics. Kathmandu: Taleju Prakashan. Shapiro, E., Macroeconomic Analysis, New Delhi: Galgotia Publication (P) Ltd.
Singh, S.K., Public Finance in Theory and Practice. 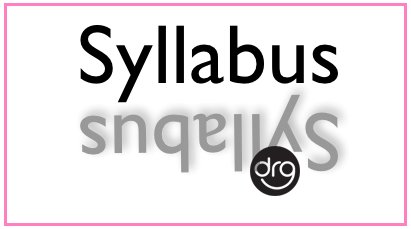 New Delhi: S. Chand and Company Ltd.
0 Response to "Complete Syllabus of Macroeconomics | MGT 206 | BBS 2nd year [4 Years]"